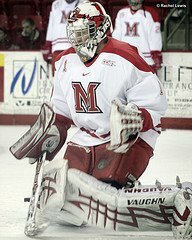 > – Some minor news today: Former Redhawk goaltender Charlie Effinger was traded from the Gwinnett Gladiators to the Trenton Devils today. Effinger was 0-2 with a 5.50 GAA with the Gladiators. Posted on November 14, 2008, in Charlie Effinger, Miami Alumni. Bookmark the permalink. Leave a comment.